Carol Bennett, 'Dissolve,' 2017. Oil on wood, resin. Shawn Spangler and Bryan Czibesz, 'Tectonics and Dross,' 2015. 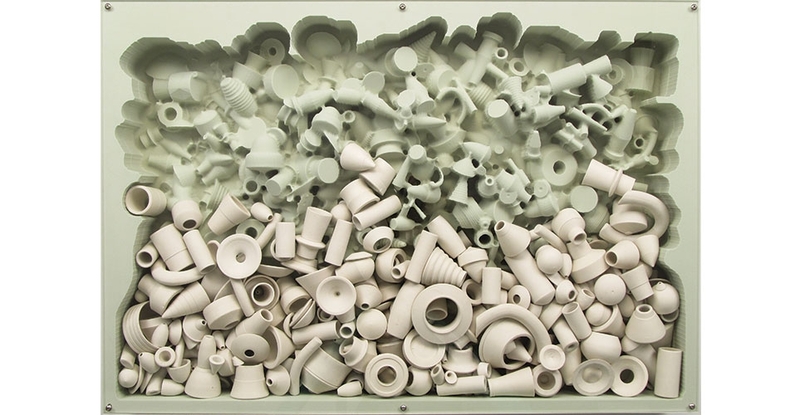 Porcelain, high-density foam, acrylic. 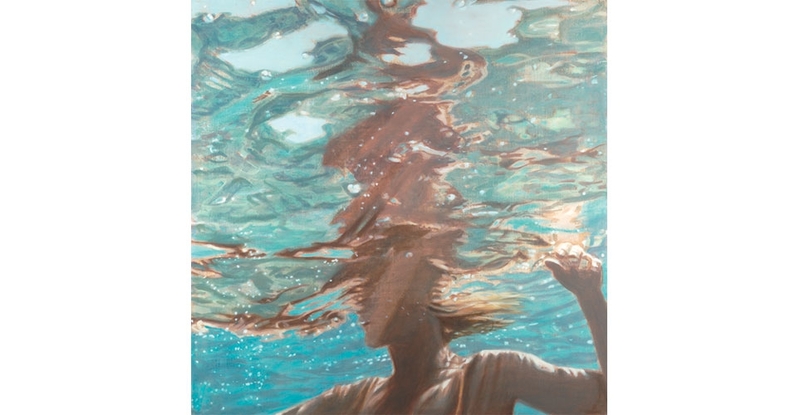 Kaua‘i artist Carol Bennett’s mixed media works feature female swimmers or marine nets floating or submerged in water. Subtle colors and gestural marks describe shifting views from below the surface and result in fluid paintings that bridge the gap between abstraction and figuration. O‘ahu artist Shawn Spangler and New York-based artist Bryan Czibesz collaborate on ceramic pieces that blend an interest in traditional craft with industrial design and digital technology. Variations on classical forms of teapots and vessels are fabricated through diverse methods such as wheel-throwing, hand-building, and three-dimensional printing. Honolulu-based artists Renee Iijima’s and Taylor Johnson’s works examine how time, growth, death, and decay affect the formation of identity. 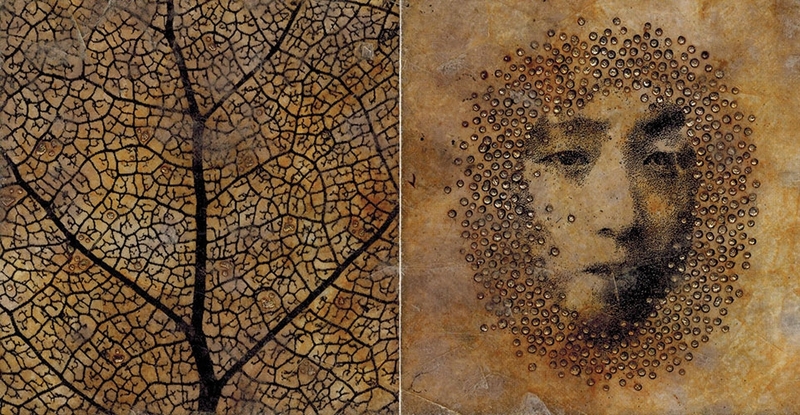 Iijima’s mixed media pieces on mica and glass employ a personal iconography that includes eggs, snakes, and portraits; while Johnson’s prints and installations reference family history and nostalgia with images of crumbling houses, backyards, and forested areas. Learn more about Renee Iijima's work on the HoMA blog.